Self-Improver A.J. 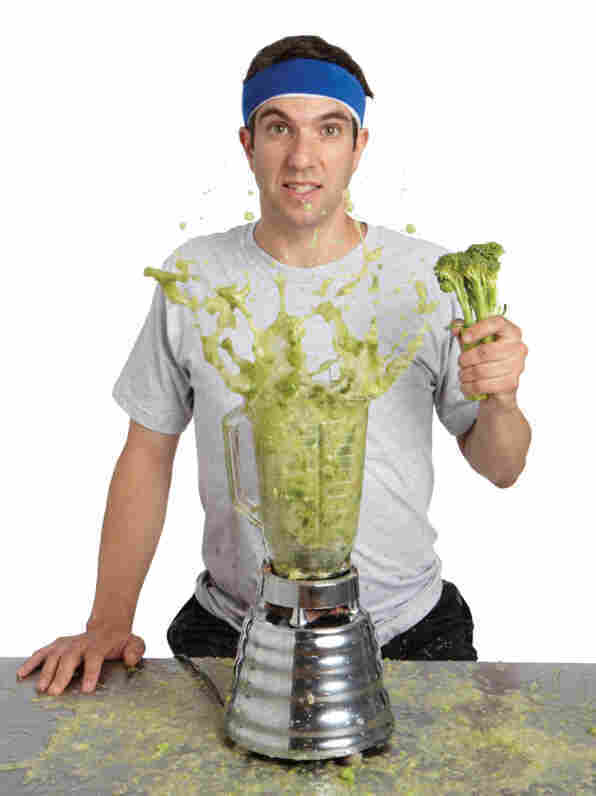 Jacobs Takes On Getting 'Healthy' The author of The Know-It-All — for which he read the entire encyclopedia to try to get smarter — Jacobs has gone on another self-improvement kick for Drop Dead Healthy. Scott Simon talks with Jacobs about avoiding the gym, unusual diets and breaking a sedentary lifestyle. When A.J. Jacobs got sick on a tropical vacation, his wife looked at him in his hospital bed and said, "I don't want to be a widow at 45." Jacobs was 41, bedridden with tropical pneumonia, and living with what he calls a "python-that-swallowed-a-goat body." He wasn't notably unhealthy, but he'd begun to feel some of the vulnerabilities of age, so he vowed to make himself healthier so that he could be around — and vital — for his wife and three sons. Jacobs, who is editor at large of Esquire magazine and author of The New York Times best-seller The Know-It-All — for which he read the entire encyclopedia to try to get smart — decided to give himself two years to get healthy, or perish writing about it. 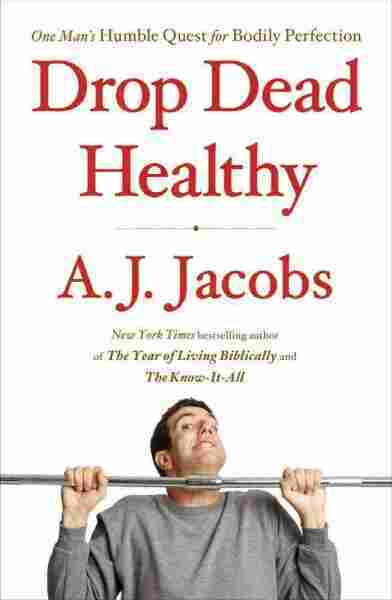 At the end of the experiment, Jacobs is alive and well, and his new book is Drop Dead Healthy. Jacobs says he's feeling pretty good. "It would be pretty embarrassing if I didn't," he says. "It's sort of my job to feel good." 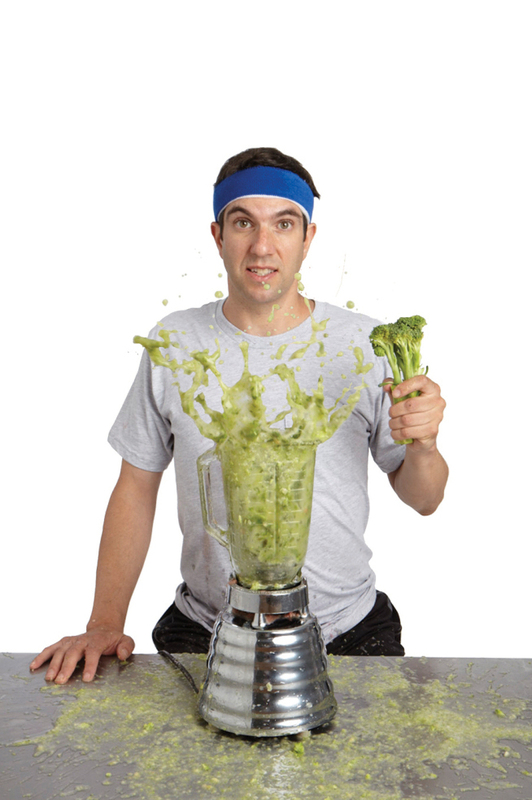 To get healthy, Jacobs tried dozens of diets, including a raw food vegan diet. Some were more outlandish than others. "I tried the paleo diet, which is the caveman diet — lots of meat," Jacobs says. "And I tried the calorie restriction diet: The idea is that if you eat very, very little — if you're on the verge of starvation, you will live a very long time, whether or not you want to, of course." Jacobs learned that chewing was a good way to stop eating as much. "There's a very passionate pro-chewing movement on the Internet called Chewdiasm," Jacobs says. "They say that we should be chewing 50 to 100 times per mouthful, which is insane. I tried that. It takes like a day and a half to eat a sandwich. But their basic idea is right. If you chew, you'll eat slower and you will get more nutrients." For all the methods he tried to get healthy, Jacobs is not a fan of the gym. For one thing, he says, the advertisements gyms use to get clients in — ones that show before and after photos — don't always tell the whole story. An Esquire editor at large, A.J. Jacobs is the author of New York Times best-selling books The Know-It-All and The Year of Living Biblically. "One of my favorite tricks that they do," Jacobs says, "is they'll go into a gym and find the guy who's in the best shape — the most shredded body — and then they'll pay him $5,000, $10,000 to get fat. And then they'll reverse the photos. It's genius!" Jacobs prefers what he calls contextual exercise. "Trying to fit exercise into every nook and cranny of my life," Jacobs says. "So, climbing the stairs or running errands. I literally run errands. So, I'll run to the drugstore, buy toothpaste and then run home." Another exercise regimen Jacobs tried was pole dancing. (What? It's trendy.) It was hard to hold onto the pole, he says, so it built up upper-body strength. "I'm a trained journalist," Jacob adds, "so I did notice that I was the only man among about 50 to 75 women. And so if you are a single man, then this might be something you might want to look into." Among the many diets and routines Jacobs tried, there were some he had no use for. "Colonics and juice cleanses are not going to be a big part of my life," he says. "There's really scant scientific evidence to support those, and I did not find them pleasant." One thing Jacobs will be keeping up with is divorcing himself from a sedentary lifestyle, which is hard, he explains, because he loved sitting down. "I was very good at sitting," Jacobs says. "But I just read so much research about how horrible sitting is for you. It's like, it's really bad. It's like Paula-Deen-glazed-bacon-doughnut bad. So I now move around as much as possible." In fact, as testament to his newfound healthy habit, Jacobs notes that he wrote the book on a treadmill. "It took me about 1,200 miles to write the book," he says.